Last time I visited the Dolomites I was dying to see a marmot. I’ve read in a guidebook that the Dolomites are FULL of marmots and that some of the valleys are like their residence district. Although I saw ONE marmot I felt somehow disappointed. 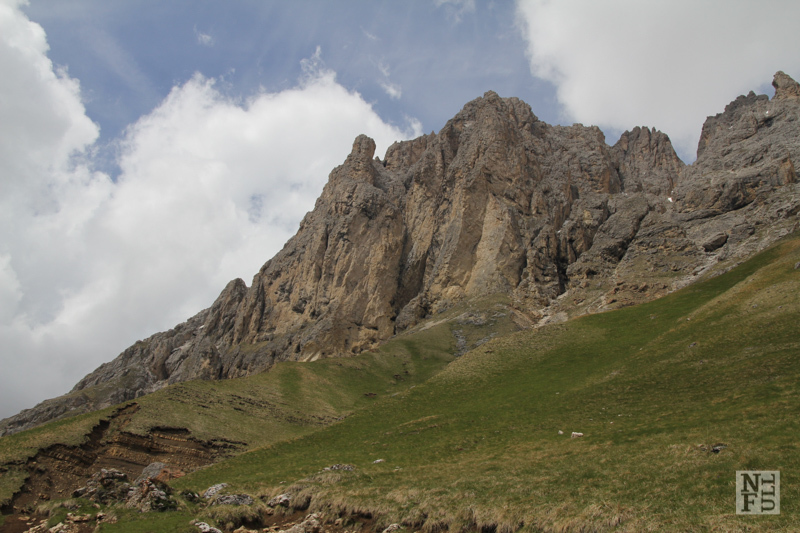 But the second day of my stay in Val di Fassa I called “A Day Of The Marmots”. 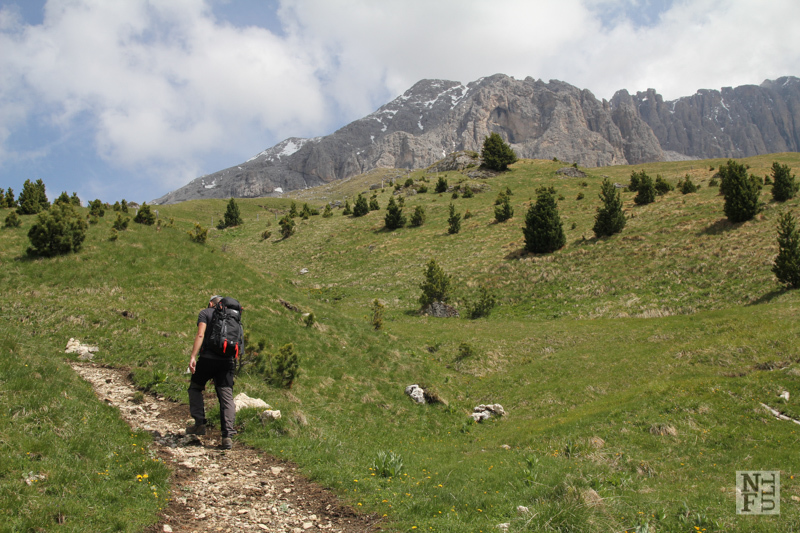 After the first day and a short hike to Baita Pederive, the second day we picked up a longer trek: along Val Duron. 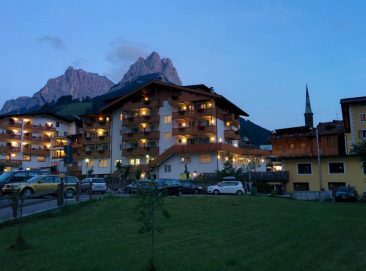 The trail starts in Campitello di Fassa where we left our car. Along Val Duron. Rif. Micheluzzi, Dolomites, Italy. 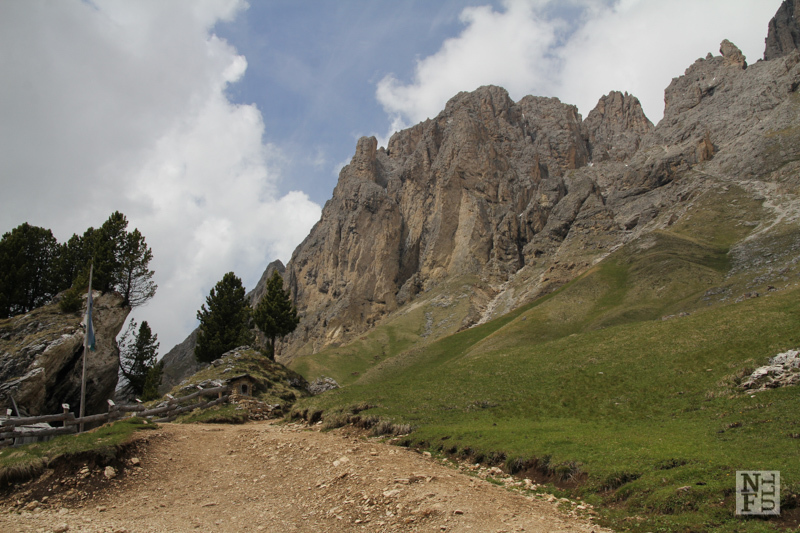 Even though this is a valley, the path took us up about 300 meters before we even arrived at the first refuge: Micheluzzi. The path was wide enough so the cars could drive up, but I expected it to be much flatter. We fully appreciated late springtime: the bottom of this valley was fresh green covered with colorful flowers and butterflies. We had a short pause in this refuge in order to decide where to go next. 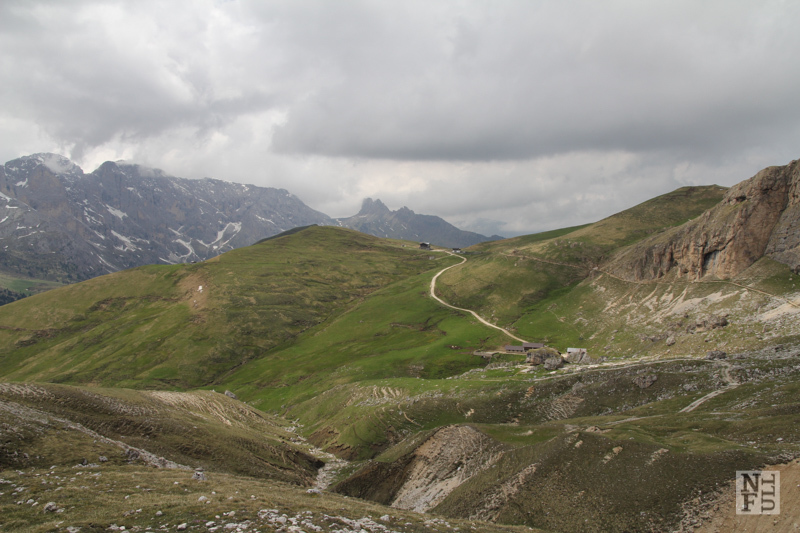 There are at least a few choices but ours was to go up to the refuge called Sasso Piatto at 2300 masl. We took trek number 533 and I think this was a great idea. This part of the day was all about climbing up and watching marmots because there were dozens! From Refuge Micheluzzi the path became narrow, dirt like and quite steep but every few hundred steps new panorama was showing up. 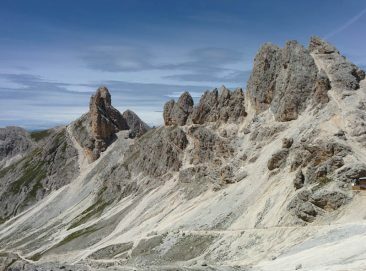 Going up to Sasso Piatto from Val Duron, Dolomites, Italy. The weather was perfect: it was sunny, there were few clouds and a nice wind was drying our sweaty T-shirts. I had an impression that we are the first tourists who walked this path in spring. We saw few sections of the path destroyed by the snow last winter and still not fixed. The grass all around was still very wet and some sections were like a marsh. 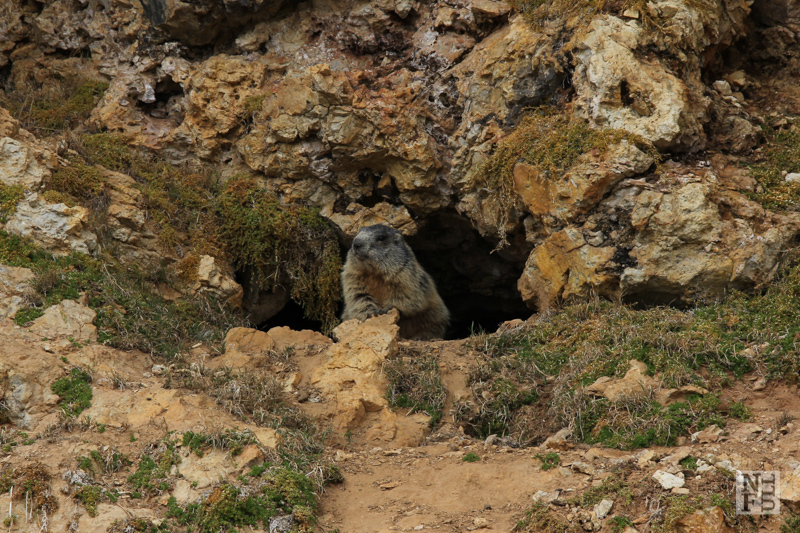 Also, number of marmots was really impressive. From refuge Sasso Piatto to refuge Sandro Pertini. Dolomites, Italy. I have never seen and never heard so many marmots in my life! They were everywhere! We even saw a fight of two big marmots just in front of us. They were whistling very loud and the empty valley was strengthening the echo. It was amazing to listen to it! Just like a concert for 4 of us by nature. It reminded me that there is a series of concerts called I Suoni delle Dolomiti that I always wanted to participate. The concept is pretty simple: musicians with their instruments climb up the mountains (try to imagine a contrabassist! ), sit in a prepared spot and play the music. It sometimes is a trio and sometimes it is a full orchestra. I find this idea marvelous! 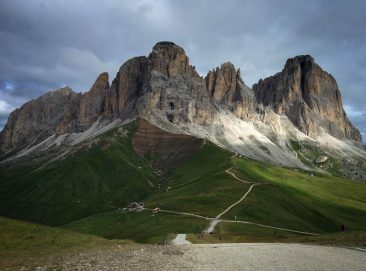 Looking towards Sasso Piatto, Dolomites, Italy. It took us hours to arrive in the refuge because of all stops to watch and listen to the marmots, but we finally did. 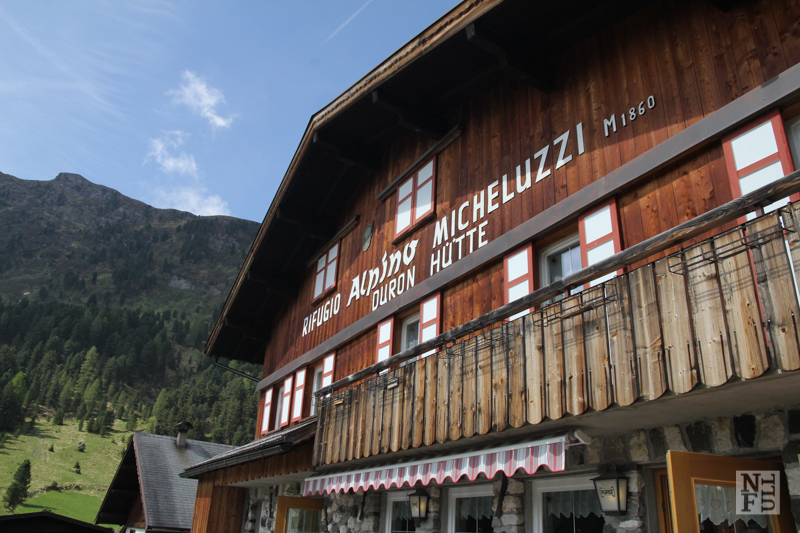 Refuge Sasso Piatto at 2300 masl is situated in a beautiful spot with a breathtaking panorama. 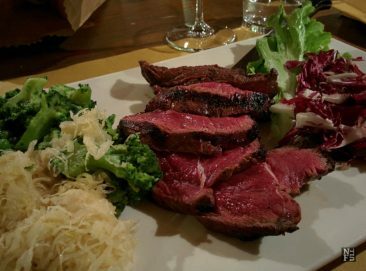 It also serves delicious food and offers a nice spot for to relax. We did not spend that much time there because of the weather forecast and clouds spotted on the horizon. Looking towards Marmolada Glacier, Dolomites, Italy. We decided to go back the alternative path. Track number 557 through refuge Sandro Pertini was our choice and I can tell you this: thanks God we did not go up with this path as it was very very steep! So if you ever come to Val Duron with an idea of climbing up to Sasso Piatto pick up the track number 533. Not only because it is easier but because of marmots too. The final stage of 6 hours walk was a race downhill to escape the rain. The escape did not work and at some point there was a pouring rain but it lasted a while after which the sky cleared out. 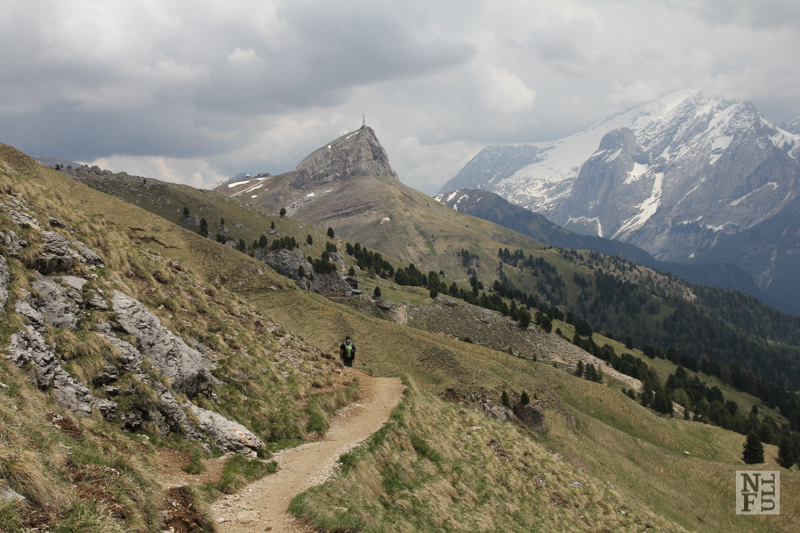 We came back home very happy and this track is highly recommended to all who wishes watch marmots, beautiful panorama and get moderately tired. 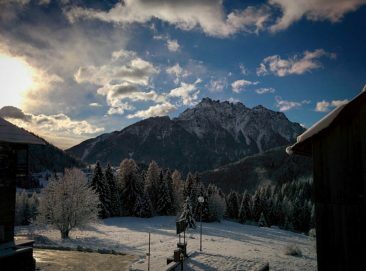 Third day of our holiday in the Dolomites is here! What a fantastic journey through Marmot Land! So happy you finally saw so many of them while being surrounded by such beauty! Surely a trip I would love to embark on someday soon! Looks like a beautiful area to hike. We get marmots here but not a lot at once.